They’ve been used to identify ethnic minorities and political dissidents in China, and were last month banned by the US due to concerns they were creating a “surveillance network” among federal agencies. Now it appears a pair of Chinese video surveillance companies have become entrenched in Australia’s government as well. One camera was used to monitor security threats at a sensitive Australian military base. Another hangs outside the front entrance of the Canberra office complex that houses the Australian government’s top lawyers, two federal departments focussed on national security and an Australian intelligence agency. And then there are the hundreds of thousands of surveillance cameras in houses, on street corners, in local council offices, at schools and universities, on buses, in shopping centres and thousands of other public spaces across Australia. Almost all of the cameras are made by two Chinese owned companies, Hikvision and Dahua. Both face long-standing accusations of spying on behalf of the Chinese Government. “Having these sorts of cameras in secure facilities just doesn’t make any sense,” Fergus Hanson, head of the International Cyber Policy Centre at the Australian Strategic Policy Institute, said. “It’s a real dereliction of duty to have them in military bases. Last month Hikvision and Dahua were banned from US government use via an amendment to a defence spending bill. “Video surveillance and security equipment sold by Chinese companies exposes the US government to significant vulnerabilities, and my amendment will ensure that China cannot create a video surveillance network within federal agencies,” the architect of the amendment, Republican congresswoman Vicky Hartzler, said. 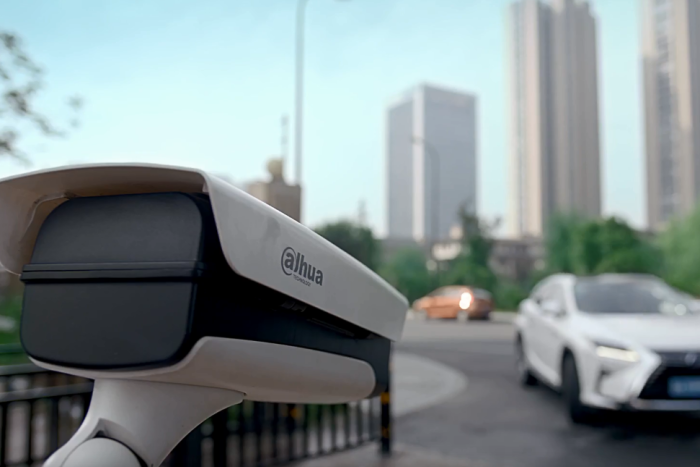 Hikvision and Dahua are, respectively, the largest and the second-largest video surveillance companies in the world. Hikvision grew out of China’s military surveillance wing and the Government retains a 42 per cent stake in the company. It is making huge strides in the fields of facial and gait recognition software via advances in artificial intelligence. “There are some worrying examples of how the Chinese are using facial recognition and image recognition software and surveillance within their state to suppress religious minorities, to surveil their population, to keep control of their population,” UNSW artificial intelligence expert, Professor Toby Walsh said. Hikvision was criticised in May this year when it released a promotional video showing its video surveillance of a well-known tourist area in Shandong province called Mount Tai. 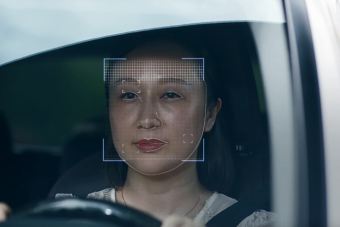 The video includes images showing Hikvision’s cameras classifying people as “ethnic minorities”. Hikvision and Dahua also form the backbone of a $US1 billion ($1.4 billion) surveillance system in China’s restive north-western province of Xinjiang. Through one of the greatest densities of security cameras on Earth, the ethnically Han Chinese Government in Beijing has created an ever-present security state that monitors the province’s population of Uighurs, a Muslim ethnic minority. The fear is that behaviour may be repeated overseas. “China’s made it very clear that their ambition is to seek economic and military dominance through the use of technology like AI [artificial intelligence],” Professor Walsh said. Hikvision and Dahua have been the subject of repeated allegations by Western security researchers they have deliberately installed security flaws into their systems in order to allow snooping by the Chinese state. The flaws relate to insecure passwords and the discovery of poorly or intentionally-written code that would allow people to obtain access to the cameras’ audio, pictures and metadata, all without the owner’s permission. “China’s trying to set itself up as the number one country for cyber espionage, and these cameras are a key part of that platform,” Mr Hanson said. “You can remotely access them from China to another location around the world and essentially see what that camera is seeing. “Passwords are available online. If they’re not properly configured they provide all kinds of vulnerabilities. The Chinese Government rejects claims it uses Chinese companies for espionage. Both Hikvision and Dahua say they are no different to video surveillance companies from other countries. “Hikvision has never conducted, nor will conduct, any espionage-related activities for any government in the world,” a Hikvision spokesperson said. The ABC spent weeks searching for Hikvision and Dahua cameras, examining Australian government purchase records and inspecting government buildings. The results show Hikvision and Dahua remain in use at every level of government, from some of the most sensitive federal government agencies all the way down to suburban councils. 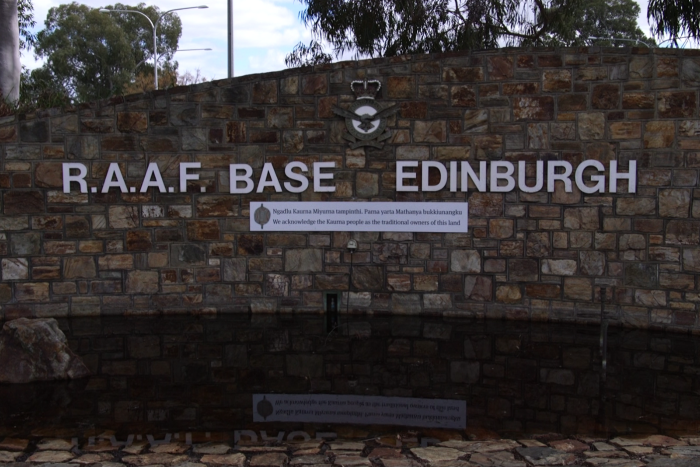 The most serious example was a Hikvision camera discovered at one of Australia’s most classified defence facilities, RAAF Base Edinburgh in Adelaide. According to Defence SA’s website, Edinburgh is “the centre of the nation’s military intelligence, surveillance, reconnaissance and electronic warfare capabilities”. The Department of Defence removed the camera once it became aware of its presence. “Should any further cameras be identified they will also be replaced,” Defence told the ABC. The Edinburgh discovery mirrors the controversy in the US last year, when the Wall Street Journal discovered Hikvision cameras installed at US Army bases and at the US embassy in Kabul, Afghanistan. The US Government also promptly removed the cameras. The ABC also found a Dahua camera hanging directly above the entrance to a privately owned office block in the Canberra suburb of Barton that hosts some of Australia’s most classified agencies. The departments of Home Affairs and Attorney-General have offices there, as does Australia’s anti-money laundering centre, AUSTRAC, and an annex of one of Australia’s six intelligence agencies — the Office of National Assessments. The camera not only watches everyone who enters and exits that building, it is also has a field of view that covers the Department of Prime Minister and Cabinet headquarters. The ABC also found a Dahua camera hanging directly above the entrance to the Canberra headquarters of the Australian Government Solicitor, the workplace for hundreds of the government’s top lawyers. The camera not only watches everyone who enters and exits that building, it is also has a field of view that covers three nearby national security agencies, including the headquarters of the Office of National Assessments, the Attorney-General’s Department, and the Department of Prime Minister and Cabinet. The ABC also found a 2014 contract for “video cameras” between the best-known distributor of Hikvision in Australia, Central Security Distribution, and the Australian Federal Police (AFP). When the ABC asked the AFP if that meant it was using Hikvision cameras, it declined to comment. Several other major federal agencies, including the Australian Border Force, which operates Australia’s ports and immigration system, also declined to comment about whether it used Dahua or Hikvision. The federal government has a series of systems regulating what brands of security equipment government agencies can use. ASIO and the Australian Signals Directorate also play a role in accrediting the security of government networks and security equipment. It is unclear if Hikvision and Dahua are formally banned from government use, though their presence at secure government sites appears to be the exception, rather than the rule. The situation is much less regulated at the state and local government level. 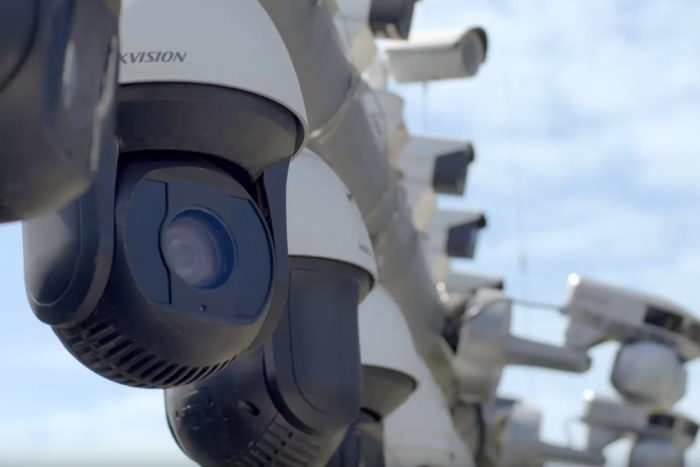 The ABC found dozens of Hikvision and Dahua cameras at NSW government facilities, and being used by a number of Sydney councils. Two Hikvision and Dahua cameras were found at Sydney’s major train station, Central Station. Another field in which a Chinese company is a global leader is consumer camera drones — the camera-toting quadcopters that have become increasingly ubiquitous. More than two out of every three consumer drones sold this year was made by Da-Jing Innovations, better known in the West as DJI. The company’s drones were increasingly being used by military and police forces around the world until August last year, when the US Army banned them due to “increased awareness of cyber vulnerabilities”. 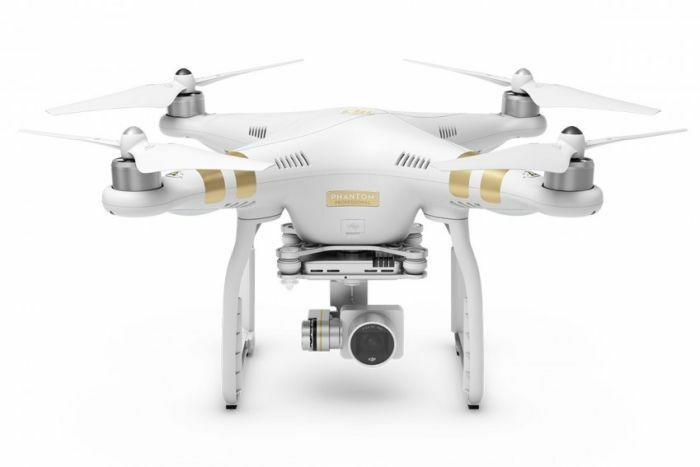 In the months leading up to the US ban there was reporting by security researchers that DJI was collecting audio, visual and telemetry data on every flight of every single one of their drones, and the potential for the Chinese Government to leverage that collection was significant. The Australian military responded to the US action within days, banning the drones. “There were some concerns regarding the cyber security characteristics of the device,” the deputy chief of information warfare, Major General Marcus Thompson, told a Senate hearing in October. The Australian military ban was lifted two weeks later following the introduction of “revised operating procedures”. Defence declined to describe those new procedures to the ABC. At the time of last year’s ban there were about 40 DJI drones reportedly in use by the Australian military. An ABC examination last month found that number has surged. Navy Strategic Command alone purchased 40 DJI drones earlier this year, and one of the military’s most secretive elements, Special Operations Command, purchased 10 DJI drones in May. The AFP also uses DJI drones, as do state police services. The military and the federal and state police all say they have they have instituted security measures to make the DJI drones safe. However, the chief technology officer of US counter-drone tech company Department 13, Robbie Sen, said there was always a risk. “Without knowing the changes they’re making, it’s always great to try and mitigate risk, but I’m suspect about blanket or absolute statements like that,” he said. 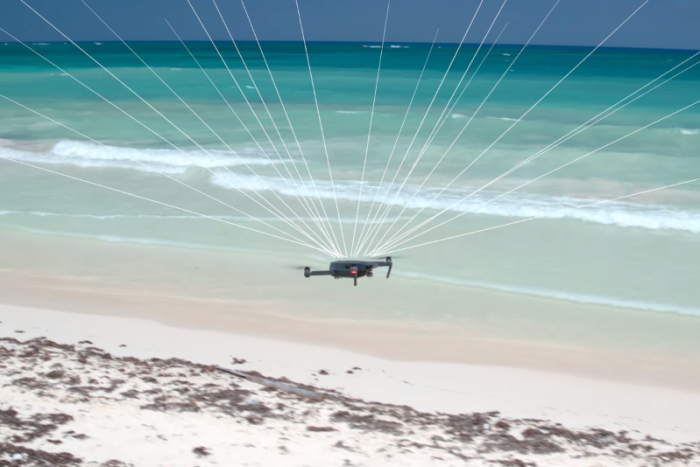 “The reason why I say that is because corporations have routinely told us you can’t access our drones’ information — DJI is a great example — and then we do. That, combined with the rise of AI-enhanced surveillance systems, worries people like Professor Walsh. “It will probably have a very corrosive effect on society,” he said. “It will just change the way we behave — it’s not just the way you’re being surveilled, it’s the fact that you know you’re being surveilled.